Lemax Christmas Harmony Figurines (Set of 4) depicts a group of four Victorian era adult carol singers with hymn books, simply happy to sing Christmas carols in the street for others to enjoy. A Lemax Caddington Village themed figurine set which has been enjoyed in the Lemax collection since 2007. 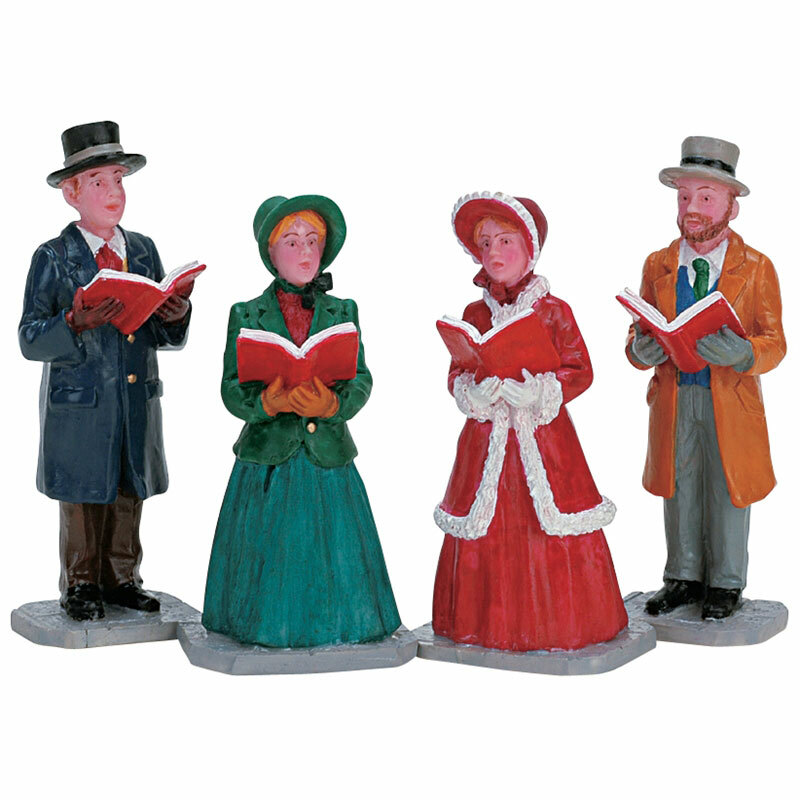 Christmas Harmony set comprises of four individual hand painted polyresin figures on four individual street bases to compliment your seasonal Lemax Village display.